I thought I’d begin my trip report with a (relatively) quick post for something I noticed on our EPCOT rope drop day 2 weeks ago. 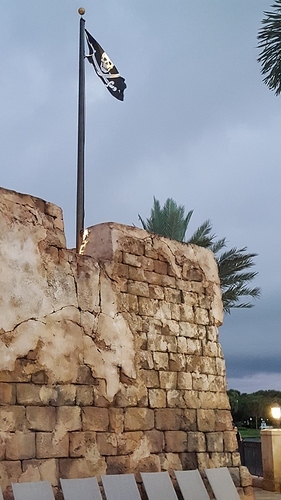 This may be old hat for uber-EPCOTers but I think we go to the parks just enough to have plenty of little advantages new to us to notice each day. We drove to the the park on Tuesday August 1st and arrived at security about 8:38AM for a 9:00AM rope drop. We were through security and taking photos of the Sphera Giganticus by 8:45AM. 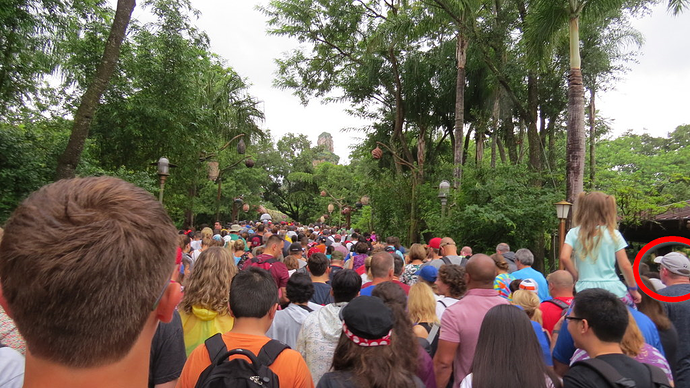 The number of people already waiting at the rope wasn’t terrible by any measure, but we were a little bit far back even after choosing to wait on the lesser-filled right side of the horde with the goal of race-walking to Soarin. When in place and scanning for obstacles that might slow our progress once the rope actually dropped (like the multi-tiered steam-powered stroller a fellow was moving into position with the help of 3 burly stevedores a few people ahead of us) - both my wife and I locked onto something: The entire path to the right of this section was completely empty. As I restrained myself from immediately leaping across the tropical plantings into this bare and tranquil space, laying down on the ground and making imaginary snow angels, my wife walked over to the inquire of the CM who was standing with all of the Disney Authority(™) vested in her. Of course, the answer was a firm No, and she received the polite multi-fingered hand motion back to the seething center path. However, within about 2 minutes the rope was dropped, the center masses groaned forward, and I espied several other guests who had been conveniently avoiding eye contact with the CM, and were walking in never-ending circles just near the start of the empty wonderland of a pathway, make beelines for it. In all actuality, the center path was not too bad, but playing your cards right, that existence of the empty right path is a nice bit of knowledge to have. For those who are unfamiliar with my writing style, as evidenced by my previous Trip Report: Third Times a Charm or Stuck at Tapstile Question forum posts, I apologize in advance. Please be sure you have enough vacation days left to read my upcoming reports, and keep your hands and arms inside the forum at all times. OK, Knowing myself, I am going to try to make this report a bit more photo-heavy so I don’t devolve into a word frenzy. I know I’ve already started the trip report above with an EPCOT tip - but I’ll back up for a second. But this year was my mother’s 90th birthday, and she lives down with my sister in Miami. We didn’t want to miss that special day, of course, so I started scheming. “How much money can I save?” I asked myself, rubbing my hands together conspiratorially, until noticed that looked kind of weird while standing in a Starbucks line. Well, save I did, indeed. If you are a regular TP forum visitor, you may have already read my post entitled “Pre Trip Report or How I Embraced Credit Card Rewards and Learned to Love Them.” You can go visit there for more info on my plan and the steps involved in gaining rewards. After crunching the numbers late into many evenings, and even though it was really a two-pronged trip cost-wise since we would go to Miami for several days as well, I was proud to say I thought we could get there without too much pain in the pocketbook. Now that we’ve come back home I can say the rewards plan was an incredible success. Between Disney Visa Rewards, Barclaycard Arrival MasterCard travel reimbursements, Caribbean Beach room-only discounts, construction rebates, and an almost fanatical devotion to The Pope, I was able to put together about $2,641 in rewards to apply to the Disney portion of the trip. 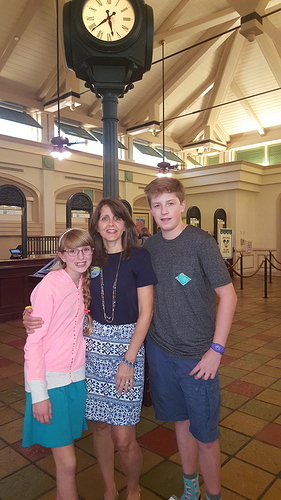 We had told our kids the trip to see Grandma was almost a done deal and that going to Disney was just a maybe. They asked every few days if we’d decided we were going, until my DS14 began to call me Señor Spreadsheet and we finally told them it was ON like UNCLE BEN on RICE. or something like that. 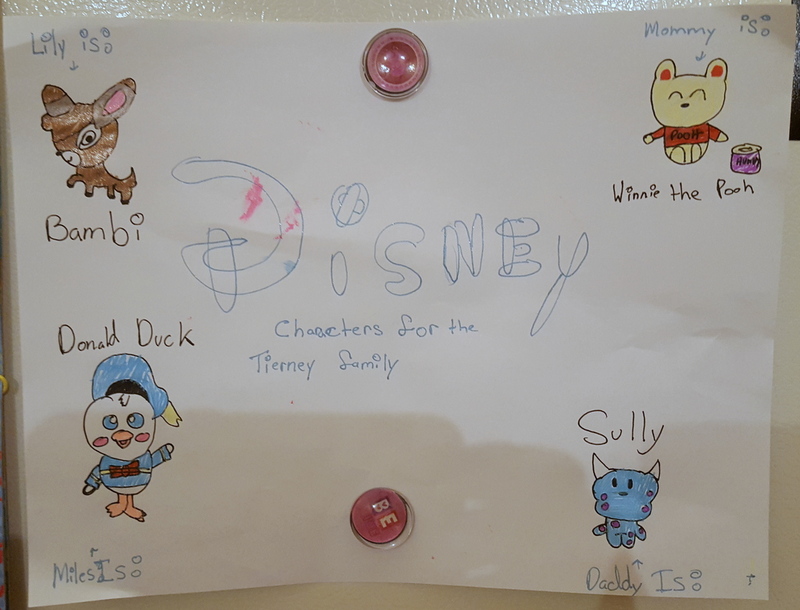 My daughter then decided to assign us each a character mascot for the trip, which was pretty cool. 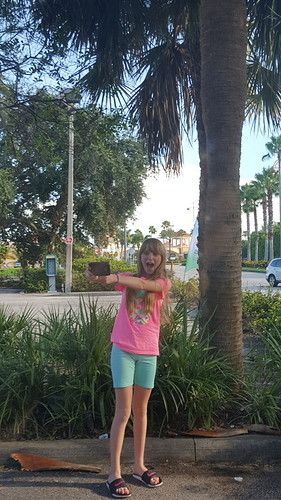 During a fairly uneventful drive down, stops included time to stretch legs, for my DD10 to take a Florida selfie to send her friend in California, and my son to shop for eats. We had a wonderful time in Miami just hanging around with family, taking my Mom out for a nice dinner and then was relieved found that the coffee cake I had baked for my Mom (allergy-friendly so my kids could eat it and my sister didn’t have to worry about it) actually made the trip unscathed and still fairly fresh. 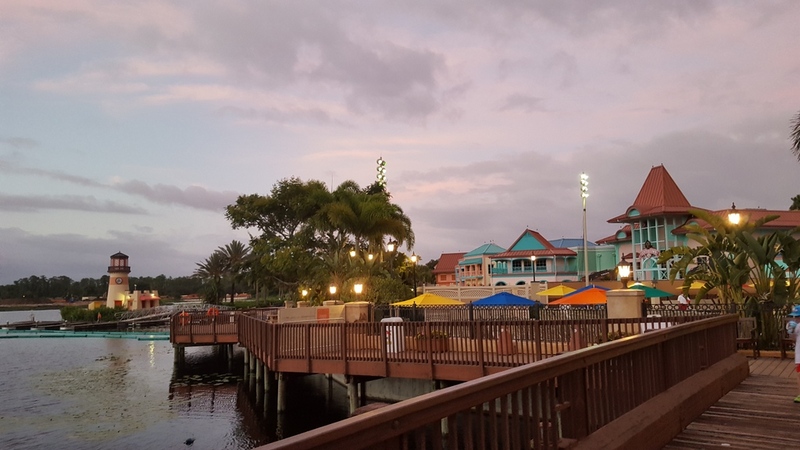 At the end of that week we said our sad good-byes and headed up to Caribbean Beach Resort, wondering just how much the construction would affect the stay. On the way there, my wife and I saw some billboards that briefly made us wonder if our “family experience” meter was broken. If interested, you can read more details on my perspective on CBR in this other forum thread, but quickly here: No major issues, loved it. Coffee could have been hotter. 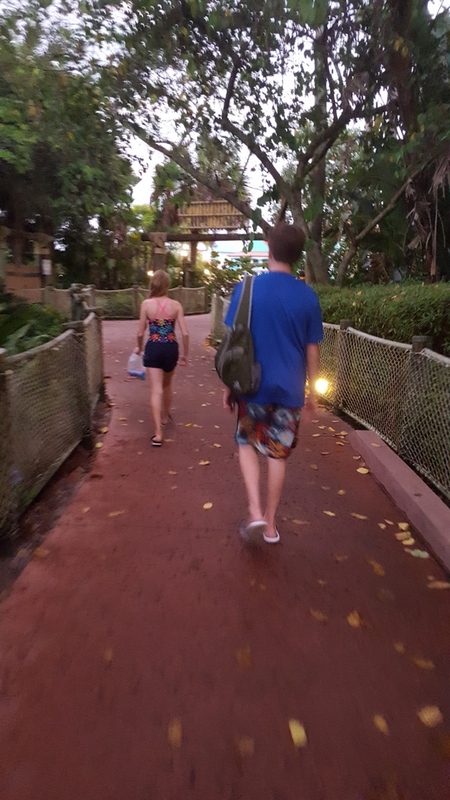 Our first visit EVER to Animal Kingdom, using the play by play I posted when we showed up for RD to attempt an early Flight of Passage, NOW WITH ADDED PICTURES OF THE TREK. Enjoying your report. Amazing how you much you were able to save in rewards! 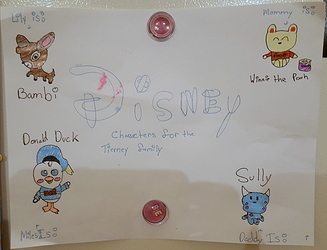 You have a lovely family. What a great 90th pic of your mom. Everyone did well with the wakey wakey, had a cold cereal breakfast in the room and jumped in our truck by 7:00AM on the dot. I used photos we all took to get this timeline as close as possible, since I know with the craziness of Pandora at RD, every minute minute (those are pronounced MY-NUTE MIN-IT) can help. We drove past the CBR main gate at 7:05 and were at the AK parking lot entrance at 7:11AM. As you can imagine: it was quite quiet. 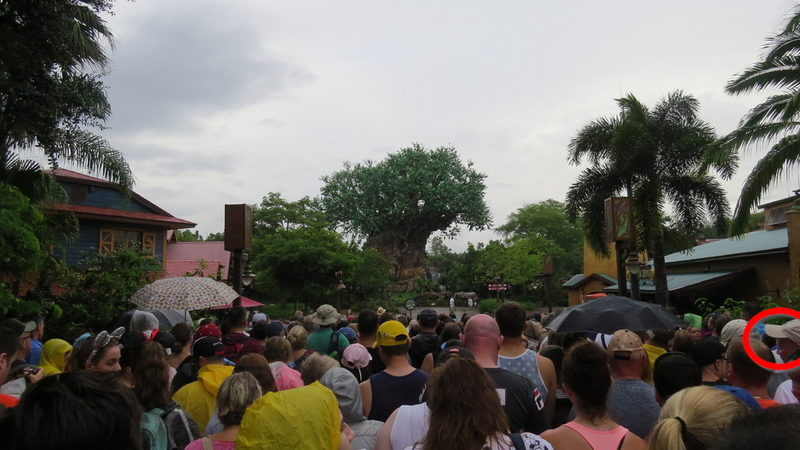 It was our first time ever at Animal Kingdom, so at the time I didn’t have any feel for where we parked or the paths as we walked them in the early mad rush - it is only now after I’ve looked through the photos I took as we walked that I can name some of the places. We were shunted by the parking CMs what felt pretty far back in the lot, were out of the car and walking swiftly in a solid drizzle by 7:18AM. Looked like we were in for some rain that day - we had some, but mainly it stayed low key and I think really helped us with the heat. DS14 was still shrugging off the rain and keeping his poncho in his backpack. I was pulling mine out to get ready for a commando move if the wet picked up any. For your reading pleasure - and as promised over on The Chat, I’ve put together a timeline map with notes. I hope it is useful - although from reading many other RD reports now (though there are fewer of them the last couple weeks for some reason) I think that our RD took longer than others. I suspect that we may have been stopped by the CMs one or two times extra, and it seemed that every time the the crowd groaned forward, there was a big slide of people around the left and right sides and we dropped back. So - while we started out on the right in the security and tapstile lines (which were to our advantage), we somehow ended up in the dead center of the pack on THE MARCH INTO PANDORA and there was no wiggle room, just slogging. After tapstiles at 7:43, we followed left and… ANOTHER CM 23 FEET LATER WITH ANOTHER MB SCANNER. Say, What? After some semi-contained mayhem for the CMs, we were back walking with purpose by 7:46.
and then BAM. Stopped at a bird-like pole.about 7:47AM. Moving again at 7:50AM, then BAM. Stopped at the Tree of Life. You can see that we’ve lost more ground now, since the whole crowd spread out further on the wider path. 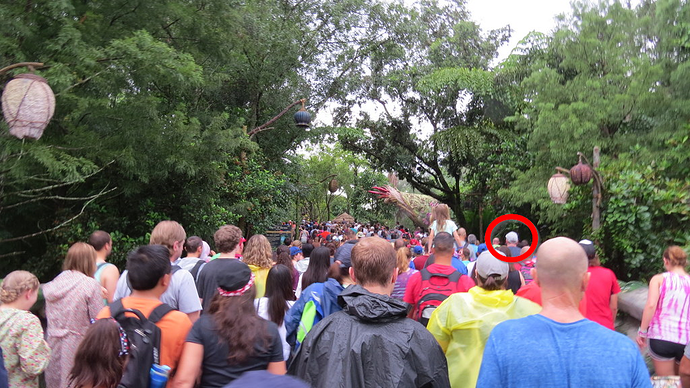 Tip: Watch the guy with the gray baseball cap just on the edge that I’ve added a red circle to and see how far he gets on the right edge of the crowd. It is an especially impressive difference in distance as these photos are all taken 20 to 30 seconds apart! We stood there for awhile, I snappy snappy took photos. 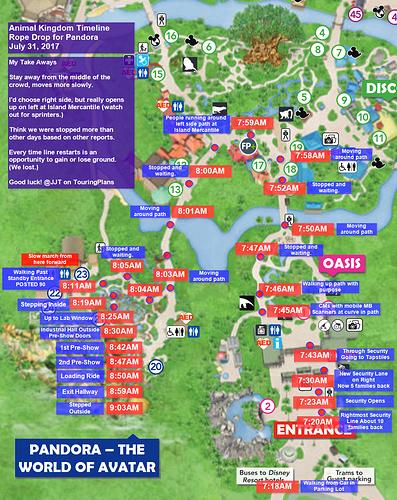 The actual path into Pandora about 8:00AM was then an on and off stop and go slog. Once into the main Pandora area with Navi River to the left and Flight of Passage to the rightish, the sign-toting CM led everyone to the right, then a few other CMs set up a rope that doubled the line back around. I started getting worried about the mass of people already in front of us. We had a whole park to see for the first time - I didn’t want to blow 3 hours on a single ride! As we filed past the Standby Line we saw it was 90 minutes already at 8:05AM and my brain started to sizzle a little. But I was in awe of the surroundings. We had to make a decision - and a helpful woman in line next to us soothed my sizzle and told us the line would keep moving and that 90 minutes standby from there was not at all going to happen. I knew that in the depths of my Liner knowledge, but had started to panic. Just a little. By 8:18AM we were high up the path heading into the facility… we stepped inside by 8:19. Inside was a slow walk of switchbacks in the beginning which transitioned into a cool industrial setting. By 8:28AM we were in the magic hallway for the last wait. We headed in to the first pre-show just after 8:41AM. Our daughter had a very slight freak out when the video narrator guy gave the typical “Uh oh…” in the video. Our son was assigned spot 1, so he said if anything happens, he’ll die first. Way to keep it real, dude! 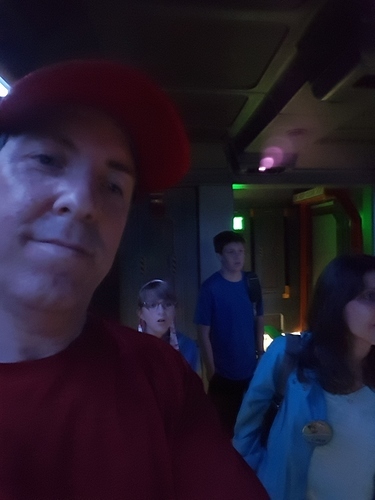 Beyond this: Flight of Passage was so excellent. The smell, the feeling, so great, as you can see from our smiles as we stepped outside into the non-blinding cloudy light about 9:02AM. All told - 6AM wake up, 7AM in car, 7:20AM on security line, off ride at 9AM. Was about 30 minutes more than I expected. 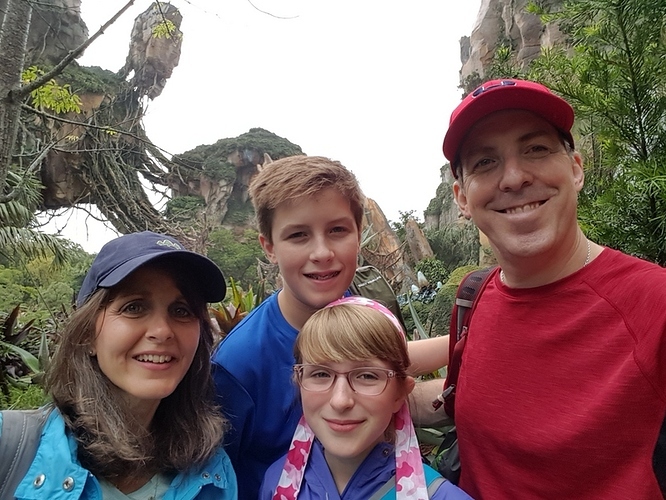 We explored Pandora awhile, got some Photopass photos taken and loved it all. Our overall time on that day was longer than normal, but the process still works the same to date from reports I’ve read. 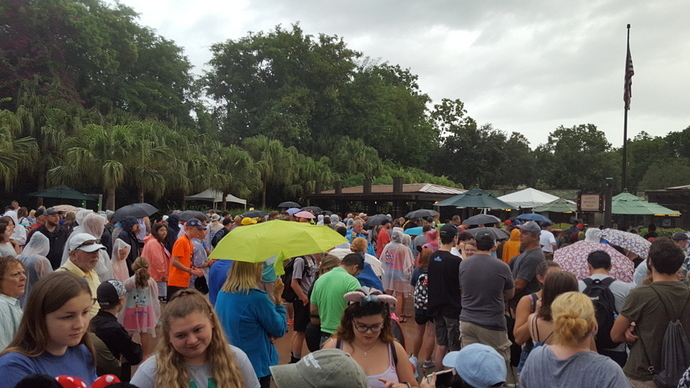 Assume if you get to Animal Kingdom 75 or so minutes before scheduled rope drop, you should be stepping off of Flight of Passage by scheduled rope drop. 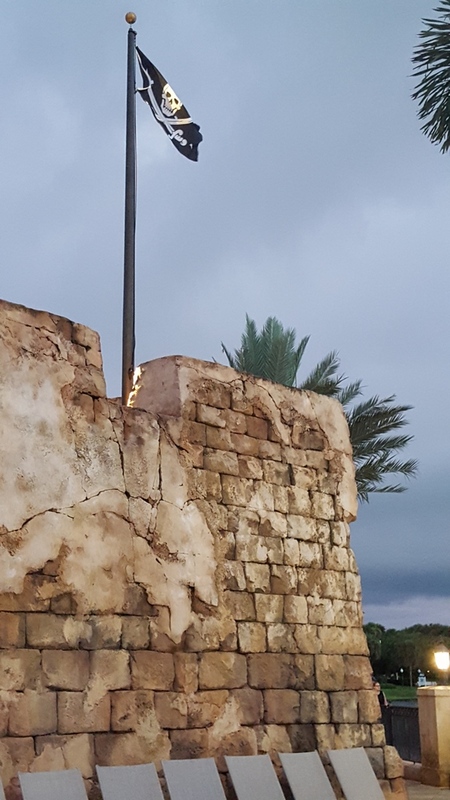 On a typical day you should then be able to walk over to N’avi River Journey and jump on that with a relatively low wait. In my next post I’ll start somewhere around Kiliminjaro Safari. But first, here’s the timeline map I promised. Enjoy! FoP rope drop for EMH? 45 min wait for the FIRST attraction in my Touring Plan? Avatar lines prevision are correct? Very nice report! Thank you and @FlyerFan1973 check it out. Gah, sounds like you still need to be there an hour before RD the get near the front of the pack. However, I’m willing to sprint, push people over, and flagrantly disregard CM instructions if need be. I’m thinking maybe macheteing a path through the trees to the left of Guest Relations and Rainforest Cafe might be the best way to get to FoP fastest. Fantastic detail - thanks so much for posting this! Going for the first time in Dec. and this really helps. Looking forward to more! Love the detailed map- as only @jjt would do! Not sure if I’m sad or relieved that we’re not back till 2020 but looks like a great trip. I found it! Thank you so much! This is perfect!! 90 is the new 70! You mom looks wonderful. That was so nice of her to have a momentous birthday to entice you back to FL! Wow! 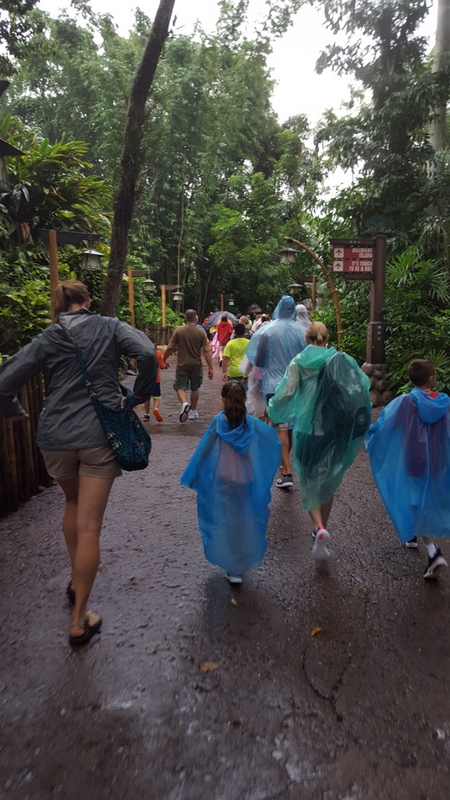 We will be at AK making this same EMH march next Saturday… thanks for sharing! We had planned to use the usual bus service but now I think we will use a Minnie van when we head to AK. Wow, that map is impressive, and another very enjoyable post! Still waiting for the next part! 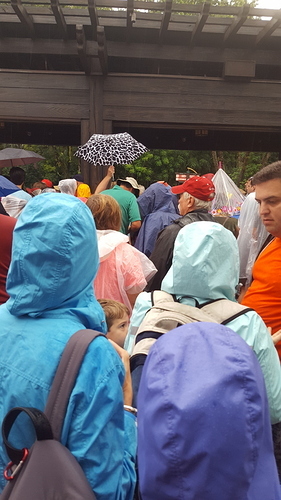 Did it feel like your were waiting forever in the fop line our did it seem to go by fairly quickly? I’m not convinced I’ll manage to score a fp Christmas day and DH gets knew and back problems if he’s not moving enough. Be a shame if we had to skip it, but if we must we must! Hi! To be honest As excited as I was to see Pandora and ride FoP I was not looking forward to the RD crowd. But, even though there were a lot of people it actually was mostly smooth, and never felt like we were just standing waiting for very long at any particular time. I’d do it again any day, I’d just get there about 20 minutes earlier (every minute makes a huge difference!) and I’d stick to the side of the path to maximize my opportunities to keep my ground. Of course, I have no experience with Christmas Day in park, so others may have better info on that particular craziness. I am enjoying your report very much! I love your style of writing. Very entertaining! Your mom looks amazing for being 90 years old! I think I’ll continue on with a photo-heavy report on the rest of our day. 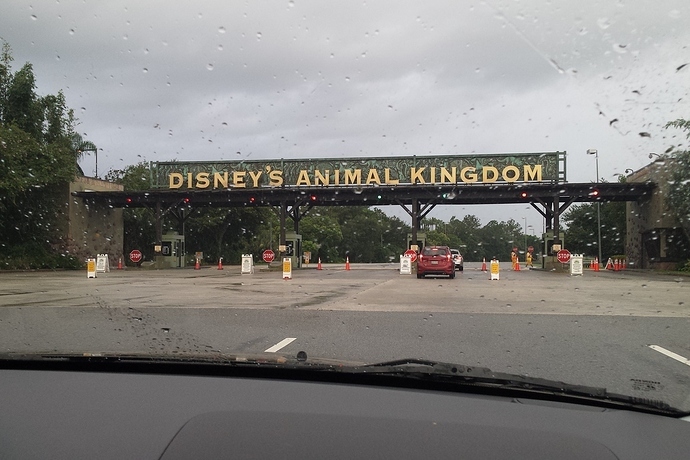 As I mentioned, even though this was our 3rd family trip, this was our first visit to Animal Kingdom! 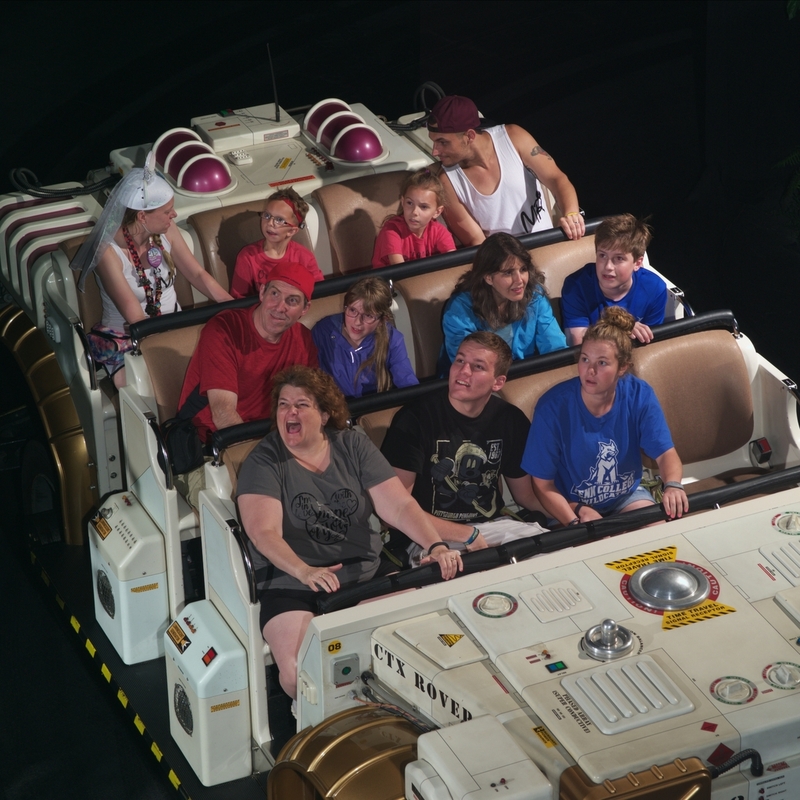 Back on our 1st trip, the kids were 6 and 9, respectively and with a shorter trip we decided to focus on the parks we thought they would appreciate the most and had a couple of MK days and a HS day. On our 2nd trip a little more than a year later, we squoze a trip in between several days the schools were closed in November for holidays and teacher meetings. On that one we again had a couple of MK days, a HS studio day (the last with Osborne lights!) and an EPCOT day. This year with the kids DD10 and DS14, I somehow acquired 5 day tickets even thought we planned to have a rest day or two in the trip - but the UT 5th day tix day for $30 for all of us was too good for me to pass up. I intended that we might hit HS for a quick run at the end of our pool day and hit a couple of headliners and run away. But, we asked the kids what they thought and they voted that we had EP evening instead of HS, which surprised me! So, back to AK: all of the detail in this park just blew us all away. Couldn’t stop commenting on it, and it was so great to hear the kids appreciate the level of work put into the design. Everything was new - so I could make this report crazy long and I know you all have jobs. So, here’s some of my favorite photos from this day with only minor interruptions. BTW, I have a camera I love, but for some reason on this trip I seem to have a blurry photo thing going on, which really annoys me in hindsight. On this AK day it was very overcast most of the day, so I could blame low-light conditions, but I think it was me not paying attention to the shots because every 5 seconds I saw some new shiny (and usually wet) object that made me rush to look at it. 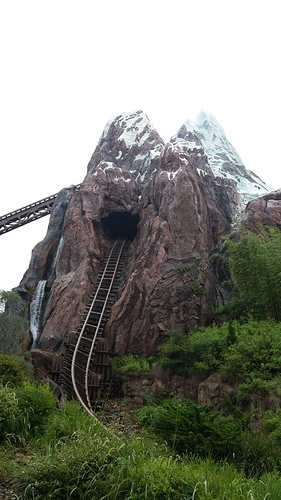 So, as we wound down the path from FoP we continue to jabber about the ride and goggle at the scenery. This trip we had the advantage of my wife’s friend having an AP and friending us on MDE - so she was able to see and download all of our PhotoPass photos. We had never stopped for many before, not having purchased it. This trip we took many - and I was pleasantly surprised how little extra time it took. There’s some good ones, some bad ones, some great ones. 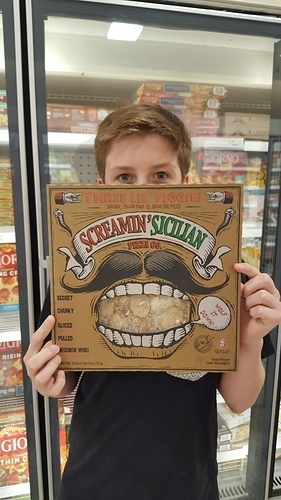 Dunno if I’d buy it, but I can see the value. We checked out the wait for Na’vi River Journey and found it was somewhere upwards of 45 minutes, and none of us wanted to risk that being an actual wait when we had a whole park to enjoy and a KS FPP coming up in about 45 minutes. So, we punted on that step of the plan and thought we might try it later when we came back for our 1:30PM FoP FPP, or perhaps at night. The overall plan today included a break after lunch and our FoP FPP to hit the CBR pool, then head for dinner and back for the last FotLK. However, the rain was threatening and sometimes coming through, and that wasn’t looking promising. After after the unexpected time to get through FoP, we had quite a bit of time to go for KS, so we went towards the center of the park to soak in some ambiance. We were drenched in ambiance. So much ambiance. I don’t think I’ve used the word ambiance this much in my entire previous life. As we cruised around, we had a fly-by with Russell who waved heartily at us - CAW CAW ROAR. The day before I had dumped a FPP we had for EE later in the morning in favor of swapping it for a late morning FPP for KRR. My thinking was to wander over to EE earlier before the safari - we did and it worked well. What a view on the walk through Asia. As dedicated watchers of the Travel Channel show Expedition Unknown, we were surprised and psyched to see host Josh Gates in one of the displays. The walk back across the park was fun and I think the rain along with water spray only made it cooler to experience. Everyone was excited for the Safari - but none so much as our animal crazy DD. It did not disappoint.The standby line for KS was up around 45 minutes at this time, but our FPP got us on on about 10. After the Safari we walked through Gorilla Falls, which was impressive as well. A couple of the males seemed to lock eyes with my son and I a few times, which was surreal. They are beautiful creatures. 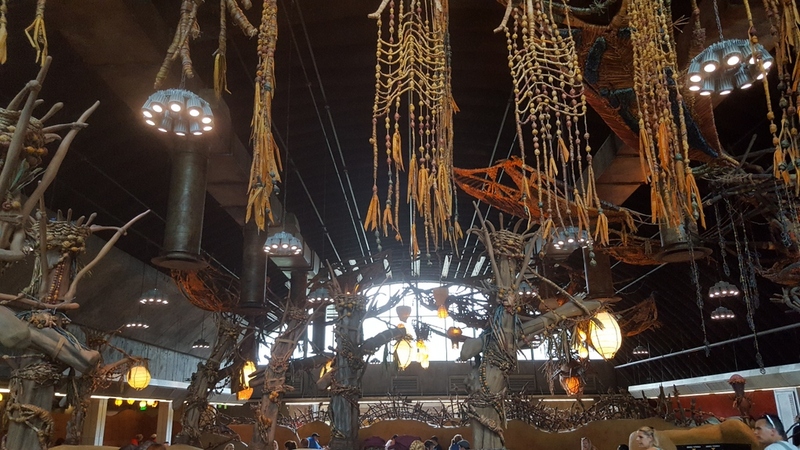 From here, it was about 11:30AM so we headed over to Satu’li Canteen for an early lunch. On this 2nd march to Pandora, my DW developed a super bad leg cramp and I could see she was trying to power through, but was going down. Some medicine she takes causes it, and she often drinks tonic water for the quinine in it to help relieve the cramps. We just so happened to be walking up to the Nomad Lounge and I grabbed her elbow and walked her inside. We eventually made our way over to the Canteen. With so much in Pandora on our excitement at first pass that morning, we really didn’t look too much at this corner of the place. As we walked by the outside tables and headed inside, the detailed theming made all of us stop and just look at the restaurant. Both my wife and I thought we had wandered into a table service restuarant and she asked some CMs if we were in the right place! The CMs were handing out menus for us to read before going into the order area, since there’s a bit of a learning curve with the Pandoran cuisine… We asked them for the allergy menu (which we had researched about online already - kids have severe nut allergies), and they told us we had to get those at the register because people kept stealing them. We knew from our research in general what we could get. It took us more time to decide than to get the info we had read about confirmed and the order in. My son was especially psyched for the protein bowl and loved it. DD and I got the cheeseburger like pod thingies - I liked them a lot, she thought they were a little spicy but liked them too. My wife ordered the vegetable pods - she sort of like them, but says they could have used more vegetables and less curry seasoning on top. (She had food envy.) We also ordered a hot dog to share and all agreed it was great. Overall: Two thumbs up, excellent place to sit and eat and relax. 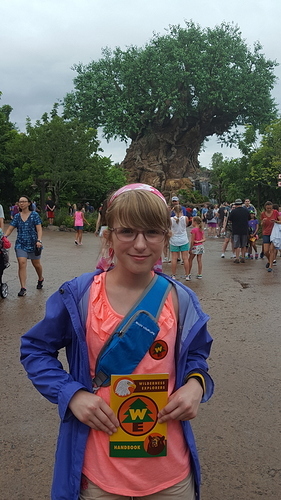 After lunch we signed DD up for Wilderness Explorers CAW CAW ROAR which she had been looking forward to. (We just watched UP before the trip to get ready.) Then we headed over for our Kali River Rapids FPP. Dunno if we missed a sign or something, but everyone ponchoed up and got ready. the other family with us was just a psyched and… very little splashy splashy. We all though KRR was very thick with theming - but that it was about 50% too short and had much less opportunity for getting wet than the Six Flags rapids we went on multiple times last year. Probably just the luck of the draw - glad we FPPd it and didn’t wait too long. At this point, since the weather wasn’t cooperating with pool-like sun we decided to soldier on in the park rather than head back to CBR. 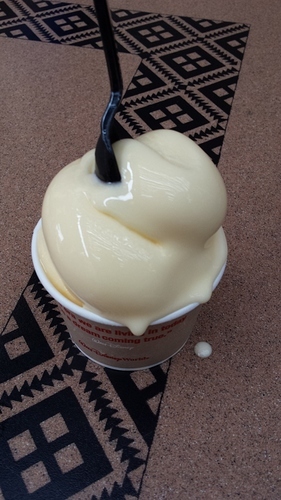 We got the required Dole Whip, then headed over to FoTLK (absolutely terrific!) and then A Bug’s Life (more thumbs up (while screaming)). Finally, the sun began to break and we wandered a bit getting more photos, then back to FoP for our 1:30PM FPP. JUST AS GOOD THE 2ND TIME. More wandering followed, on into Dinoland and a ride on the the Triceratops Spin with DD - who doesn’t like heights, but loved this. On the way to the line we went the long way by mistake and found, randomly an arm-hugging Oswald the Rabbit - her current favorite character. We immediately bought that for her and jumped on. After, some shopping ensued. DS and I got EE pins, while DD and I got Grape Soda pins, because after all THE WILDERNESS MUST BE EXPLORED. So much fun was had. We hit Dinosaur, wandered some more, and then went back to Satu’li Canteen for an early dinner. We got a bunch of the hot dog thingies and pigged out. While a shorter AK day than expected, we got almost everything we wanted in and the crew was tired. The kids were also had pool on the brain and I didn’t want to blow a chance for both sun and pool at the same time. We drove back to CBR without incident. While the crew got ready I ran over and bought resort mugs at the local room-store they set up during construction. We all walked over with a fistful of mugs and a song in our hearts. A lighthouse and a pirate pool was on the horizon.